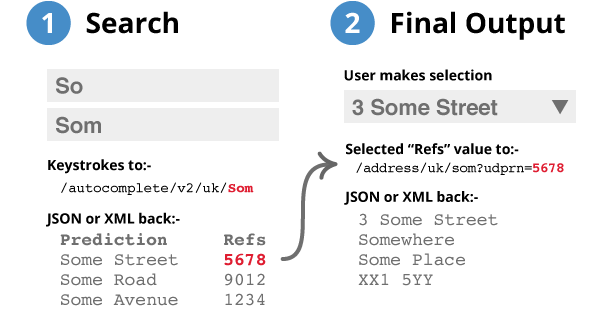 Returns full UK addresses "as-you-type" an address (e.g. Allie...). Includes the latest address data from Royal Mail, updated daily. Start with the example code and then customise it using the information below.